Web designers and developers even the ones who are new to the world of website designing and customization will be aware that there are plenty of paid and free WordPress themes available in the market. That said, finding the right WordPress theme that suits your needs and requirements can be quite challenging. If that’s the case, then you should reach out to expert web designers, as they will be able to help you with that. If you have already identified a theme that is perfect for your site, then you should try to install it. Unfortunately, several users have no clear idea on how to install a WordPress theme. If that’s the case, then take a look at the following detailed step by step instruction on how to install WordPress theme. In fact, we have provided steps on three separate ways through which you can install a paid or free WordPress theme to your website. It is true that installing a new WordPress theme to both business and personal websites is a fairly simple task. However, users who are new to the world of website designing should note that activating a new WordPress theme alter how your website functions and looks. So, if you wish not to change the look and feel of your business or personal website, then it is best to switch with the existing theme. However, if you are still looking for steps on how to install a WordPress theme, then we have got you covered. If you are planning to install one of the free WordPress themes that are available in the WordPress.org themes directory, then it is best to make use of the WordPress admin theme search functionality. The first thing you need to log in to your WordPress, and then scroll through the list of options until you the Appearance option. Click Appearance, and then select Themes before proceeding to the next step. You will need to tap on the Add New button on the top of the Themes page. Once you have done that, proceed to the next page where you will be able to choose from Latest WordPress themes, Popular WordPress themes, Featured WordPress themes, and more. This will enable you to search for a certain theme or search for certain themes with the features that you need. On the basis of your search, either a single theme or a list of WordPress theme will appear on the screen of your device. You will now need to choose the theme you want, and then simply tap on the Install button which is located near the Details and the Preview button. Finally, tap on the Activate button to activate the theme to your website. The issue with the first method is that it always you to only install the themes that are available in the theme’s directory of WordPress.org. So, website designers and developers who wish to install a paid or premium WordPress theme will have to use another method to accomplish the results that they are after. This is where the upload theme method from WordPress Admin comes into play. The first and most important thing you need to do is to download the zip file of your preferred theme. 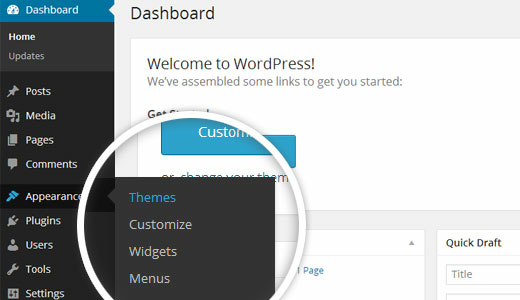 Now, login to your WordPress account, and then select Appearance, followed by Themes from the admin area. You will now be able to find an Add New button on the top of your screen. Click on it and then select the Upload Theme button before proceeding to the next step. You will now be asked to select the zip file. Select it and then simply click on the Install Now button. WordPress will automatically send you a success message once the theme is installed. In addition to the message, you will also receive a link that can be used to preview and activate the theme. All you now need to do is to simply tap on the Activate button to activate the new theme. If you are an advanced website designer or if you have a clear idea on how to use WordPress, then you could give the FTP method a try when you are looking to install a WordPress theme. However, beginners and the ones who have no idea on how to use FTP should try not to use this method, as this method is very complex. The first and foremost thing you need to do is to install and set up the FTP program, and then establish a connection to the host by using FTP. Now, you will be asked to upload the folder of your preferred theme. However, make sure to unzip the theme’s folders before uploading it. 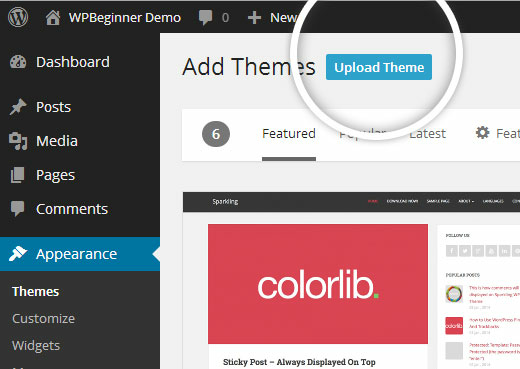 Now, login to your WordPress account, click on Appearance, and then on Themes. 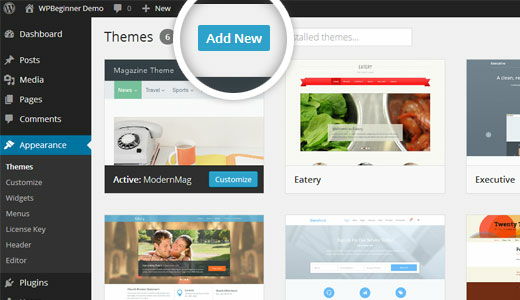 The theme that you have uploaded will be automatically available in the list of themes. Simply click on the Activate button on top of the theme to activate it to your WordPress theme. However, if you are unable to find the theme, t is best to reach out to experts who have expert knowledge in installing Bootstrap dashboard templates and WordPress themes.